Summertime and music festivals go together like arroz y frijoles or diri kole ak pwa, a.k.a. rice and beans. The number of festivals out there is hard to keep up with but here is one worth looking into. 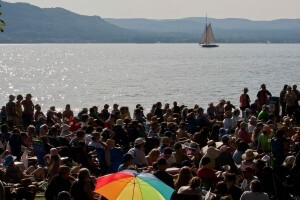 The Clearwater Festival in Hudson Valley, NY. 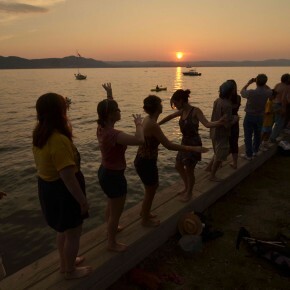 Clearwater’s Great Hudson River Revival, also simply and affectionately known as the Clearwater Festival (June 15-16, 2013; clearwaterfestival.org), unites major musical figures and green activism, building a creative community in one of the most scenic spots on the Hudson River. several strong collaborations at this year’s festival: Jorma Kaukonen & Steve Kimock and Keller Williams & The Travelin’ McCourys. world music with Afrobeat intensity (Antibalas), uplifting Afropop (Sierra Leone’s Refugee All Stars), Bhangra-powered brass (Red Baraat), virtuosic Malian desert blues (Vieux Farka Touré), and funky Celtic-Asian fusion (Delhi 2 Dublin). Native American artists—Buffy Sainte-Marie, Joanne Shenandoah, and roots-soul vocalist Martha Redbone—are also a major component of the festival lineup. “We’re still a folk fest, in that we feature artists from around the world. Ivan Neville’s Dumpstaphunk, with his background, is still folk. Sharon Jones is, too, as she plays R&B from a particular time, a particular scene. I use the broad sense of folk music as a guiding light.” – festival director Steve Lurie. What makes this festival unique is the sense of community and purpose. The Hudson river is front row and center as a reminder of the greater picture and an appreciation for the environment. 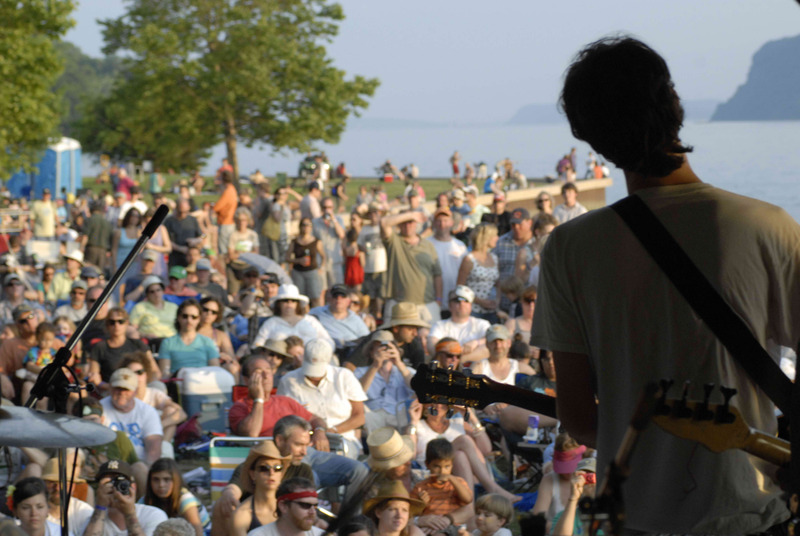 At the festival, you will find an artisanal food and farm market, juried crafts fair, roving performers, traditional storytellers, an activist area, and a chance to ride on river craft. The festival is zero-waste, bio diesel- and solar-powered in lush Croton Point Park, to support the mission of Hudson River Sloop Clearwater, Inc, one of the nation’s preeminent environmental organizations and a key mover in promoting policies to restore the Hudson to its former, teeming glory. This certainly is a profound and moving experience. Save the date: June 15 and 16th. in Croton-on-Hudson, New York in Westchester County. Nadine is the founder of Dialect Magazine. She has written for various print and online publications.